There are so many reasons you need to visit Hellenic Kouzina Greek Cafe in Mechanicsburg. This place has it all...delicious food, a great ambiance and amazing service. 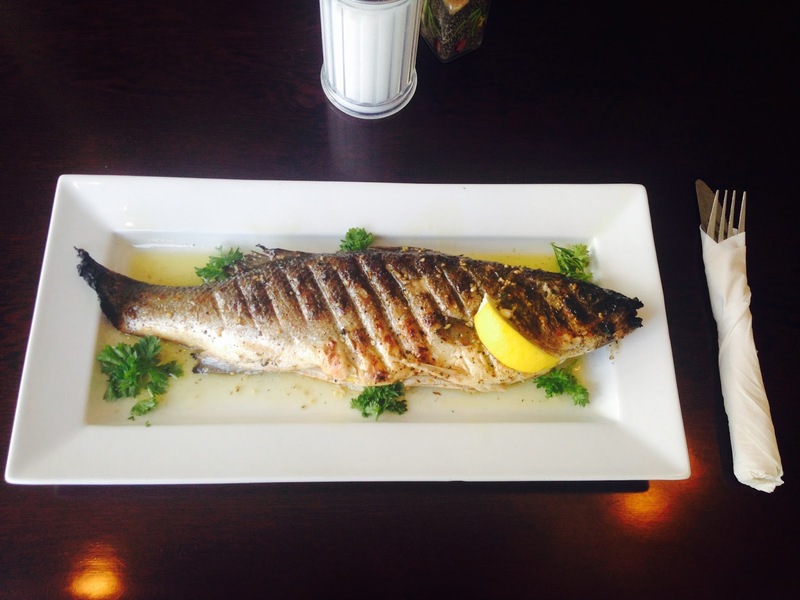 In fact, Hellenic has been so popular since opening in 2012 that they&apos;ve already had to expand. They&apos;ve added a lot more seating inside with a really unique waterfall feature separating the two dining rooms and they&apos;ve added more outdoor seating as well. 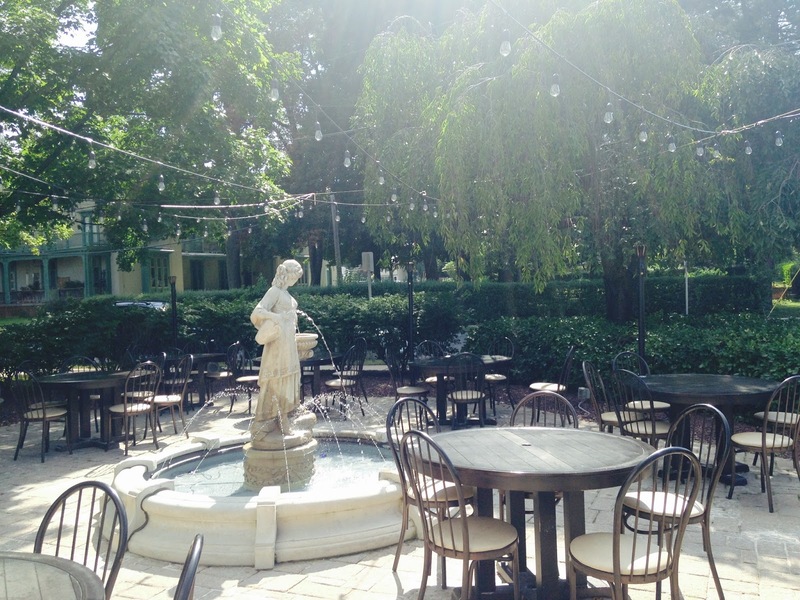 The courtyard is still available for outdoor seating, complete with a beautiful stone fountain and twinkling lights. They&apos;ve also added a few tables with built in glowing fire pits. I imagine these fill up fast so go early to get one! The food is not only delicious but very eye-catching as well. 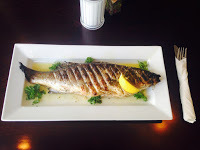 When I stopped by the other day the owner Lambros was making their famous baklava, but took a few minutes out of his busy day to show me one of the newly popular menu items featuring a whole fish (see right). He also explained the popular gyros to me sharing that people order a gyro expecting the American version which includes a mix of lamb and beef, but at Hellenic you can also get them with the signature marinated pork, chicken or leg of lamb. The gyros at Hellenic are filled with the perfectly seasoned meats, plump tomatoes, red onions and the most amazing tzatziki sauce. Traditional Greek dishes fill the menu as well including Moussaká with fresh eggplant, zucchini and potatoes layered with a savory meat sauce, and Pastítsio with long ziti pasta, meat sauce and a bechamel sauce. I recommend you start your meal with the Saganáki, a delicious cheese that gets lit on fire at your table and ending with one of the hard-to-choose-from desserts. You really can&apos;t go wrong with anything from the dessert case. 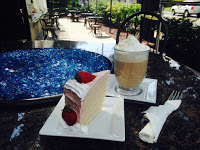 Since it was well after lunchtime when I stopped by, I ended up relaxing at an outdoor table with a delicious piece of strawberry cake and probably the best white chocolate latte I&apos;ve ever had. 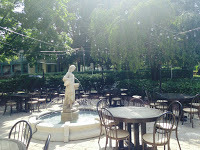 I will definitely be back before it gets too cold to enjoy dinner with a bottle of wine at one of those outdoor tables. Note: They are BYOB. Finally, the service is also amazing. Lambros&apos; children work with him at the restaurant and they are so polite and attentive. You can tell this is a family effort and they all care about their customers and their food.